Israel is an important part of Camp Emeth. We are so lucky to have an Israeli shin-shin on staff who plays several roles throughout the summer to bring a taste of Israel to camp. Each group visits “Israel” twice a week and they engage in creative activities learning about Israel in a way that is meaningful to them. Our shinshin helps lead flagpole every morning and teaches a Hebrew word of the day. In addition to these formal roles, the most important part of the shinshin’s job is providing an opportunity for our campers to personalize their experience by forming a relationship with someone who lives in Israel. 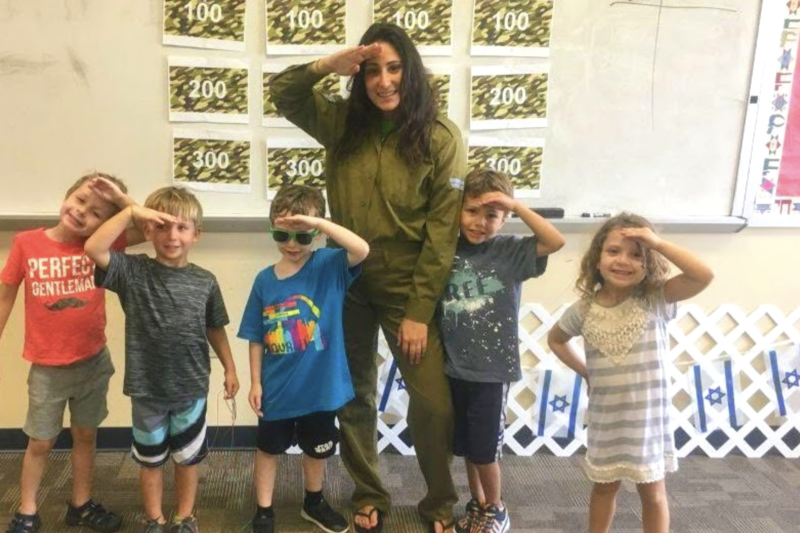 We think this will ultimately help campers develop a connection to Israel that is their own and understand the significance of Israel to each of them and the Jewish people.